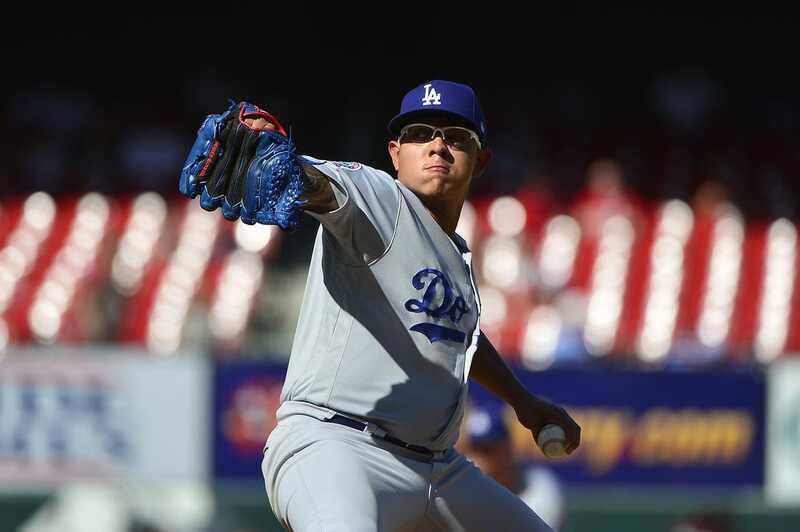 Left-hander Julio Urias was the surprise name on the list when the Los Angeles Dodgers submitted their 25-man roster for the National League Championship Series against the Milwaukee Brewers. The former top phenom pitched just four major league innings this year after undergoing shoulder surgery in 2017. Los Angeles went with Urias over Scott Alexander, who made 73 regular-season appearances and also pitched a scoreless inning during the NL Division Series against the Atlanta Braves. Urias will be one of three left-handed relievers on the roster -- Alex Wood and Caleb Ferguson are the others -- as the club looks for ways to match up with Brewers star Christian Yelich, the favorite to win NL MVP honors. Los Angeles has 12 pitchers on the 25-man roster. The Brewers also elected to go with a 12-man staff and that bumped outfielder Keon Broxton off the roster. Broxton's main value is his top-notch defensive play and speed, and Milwaukee instead opted to go with left-hander Xavier Cedeno. Cedeno had a 1.13 ERA in 15 late-season relief appearances after being acquired from the Chicago White Sox. Milwaukee went with 11 pitchers during their three-game sweep of the Colorado Rockies in the NLDS. "We recognize that a seven-game series is a little different, when you're playing three games in a row," general manager David Stearns told reporters. "I do think it's possible to go with 11 pitchers. Teams have done it in the past. But the norm is to go up one." Game 1 is Friday night in Milwaukee. Clayton Kershaw will start for the Dodgers against fellow left-hander Gio Gonzalez of the Brewers.